Xtreme™ GL-5 SAE Gear Oils are premium quality extreme pressure gear oils for final drives and heavy gear applications. Our SAE 80W-90 GL-5 Gear Oil is designed for all hypoid differentials (conventional) and manual transmissions in passenger cars, light trucks, sport utility vehicles, vans, and heavy-duty trucks where an API GL-5 or MT-1 fluid is specified. Our SAE 85-W-140 GL-5 Limited Slip Gear Oil provides proper friction control for limited slip applications and can be a complete or service fill for limited slip synchromesh drive trains. 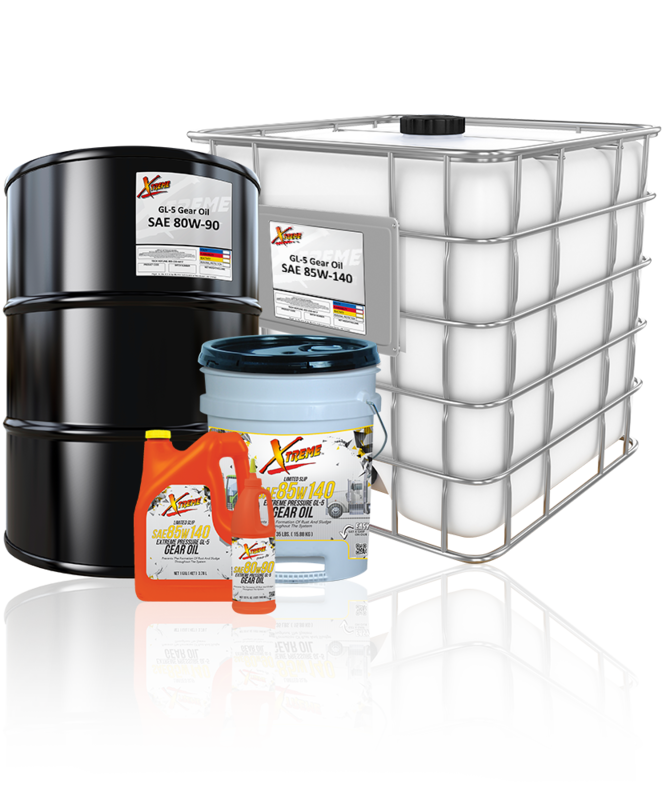 Xtreme GL-5 SAE Gear Oil is available in the following viscosity: SAE 80W-90 GL-5 and SAE 85W-140 GL-5 Limited Slip.